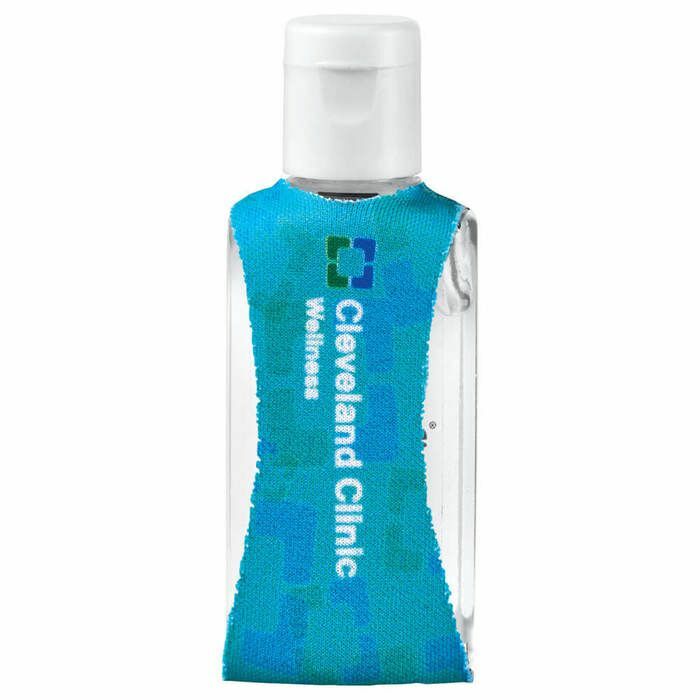 1-ounce gel sanitizer includes a neoprene sleeve with convenient carrier clip that attaches to bags and belt loops. Made in USA sanitizer gel is engineered using 62% alcohol. Bottle features a scratch-resistant, waterproof label that can be customized with a four-color process imprint. Choose from a Clear or White label. Neoprene sleeve available in 13 different colors and can also be decorated with a maximum 4-color imprint. US Patent #D510,479 5. Item ships with Sanitizer inserted into Neoprene Sleeve. Available for shipment in contiguous US only (shipping to Alaska, Hawaii & Puerto Rico NOT available).